You’ll find ideas that will make the material you teach come alive in class, organize your lessons more effectively, and inspire a student to get excited about learning. There are tips for all teachers, whether brand-new or with many years of experience. ​Read one rule a week—or all 52 at once! 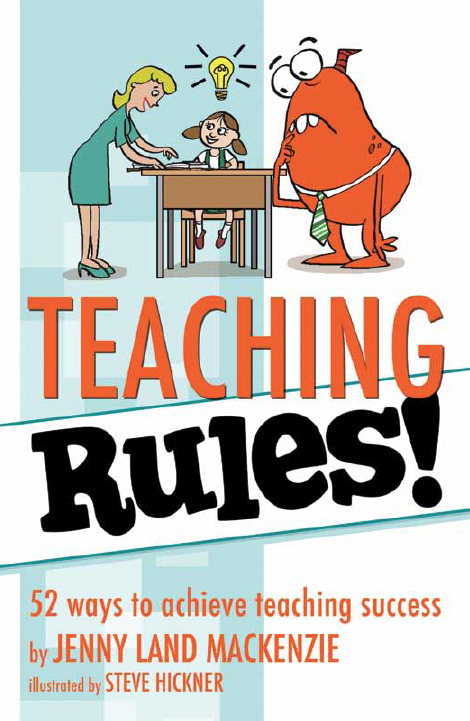 Teaching Rules! is your guide to being a successful teacher.